"They are some of the highest levels you see in the environment outside nuclear exclusion zones," said Caroline Clason, a lecturer in Physical Geography at the University of Plymouth. "Radioactive particles are very light so when they are taken up into the atmosphere they can be transported a very long way," she told AFP. "We're talking about weapons testing from the 1950s and 1960s onwards, going right back in the development of the bomb," she said. "If we take a sediment core you can see a clear spike where Chernobyl was, but you can also see quite a defined spike in around 1963 when there was a period of quite heavy weapons testing." "Americium is more soluble in the environment and it is a stronger alpha (radiation) emitter. Both of those things are bad in terms of uptake into the food chain," said Clason. While there is little data available on how these materials can be passed down the food chain—even potentially to humans—Clason said there was no doubt that Americium is "particularly dangerous". "These materials are a product of what we have put into the atmosphere. This is just showing that our nuclear legacy hasn't disappeared yet, it's still there," Clason said. Another calamity brought to us by scientists, just gotta love the buggers for their ignorance. A bit rich coming from a Velikovskian cultist! Here's a blog done by the researcher named in the article for anyone interested. The Earth is not warming tho. According to whom? Link to the scientific literature, please. Earth is definitely warming. 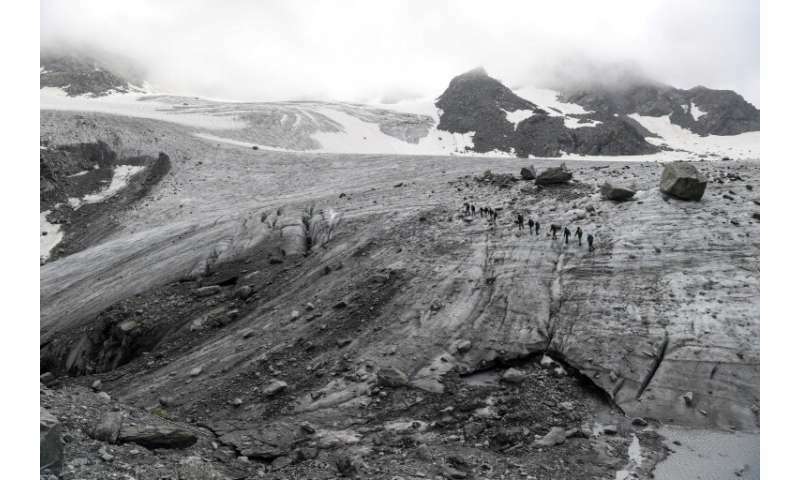 Ice is not "normal" on Earth. Anyhow, here is a bona fide analysis that finds our present-day warming is due to natural variability. What happened to Europe's fertility rates after the Chernobyl disaster of 1986? I don't understand why there was acid rain after Chernobyl. Why not normal rain? What does it have to do with fission byproducts? According to it the climate will be cooling in the next years, that can be tested easily so we'll soon know whether it is true. Except for Greenland glaciers, those are safer now. Yes siree folks. Science at work bringing good things to life. Velikovsky had WHAT to do with radiation and nuclear bombs? 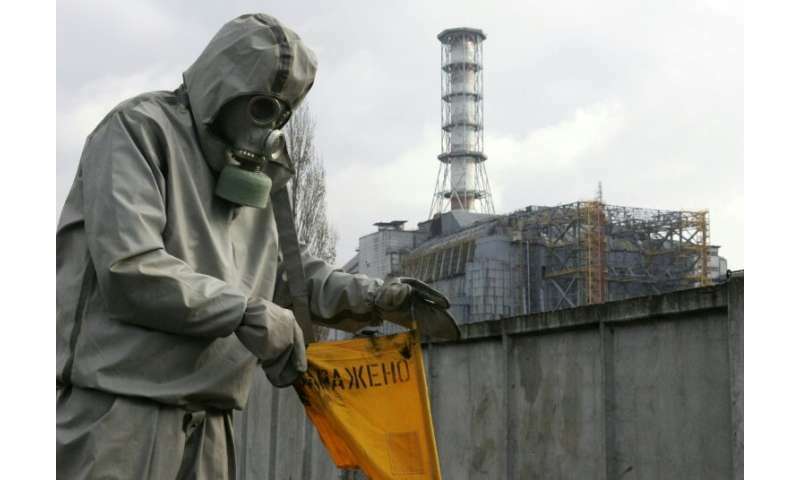 Two major studies (not done by Russians) have confirmed that radiation in the Chernobyl area has had minimal impact on wildlife, with no aberrations in higher (and supposedly more heavily-contaminated) animals. Because of this, scientists are investigating whether or not the impact of radiation in specific doses has been overestimated. Having said that, direct ingestion of alpha-emitting radioactive elements is not recommended. The above article could have been written more carefully. Those, who did not live during the days of atmospheric testing are unlikely to be familiar with the technical details. The radioactive particles, that got lofted into the atmosphere did not form acid rain. They simply fell out with the normal rain. In general nuclear weapons radioactive particles tend to be a bit heaver than most other fine particles in the atmosphere. The half-life of plutonium-239 (Pu239) is a bit over 24,000 years. As a result those particles, containing it represent a potential hazard for at least a half-million years. It is a shame that climate science denier tribal members chose to dump their hate for scientists here. Perhaps they are tired of hearing their grave warnings. We now live in an age where it is becoming increasingly fashionable to smear the work of all scientists.